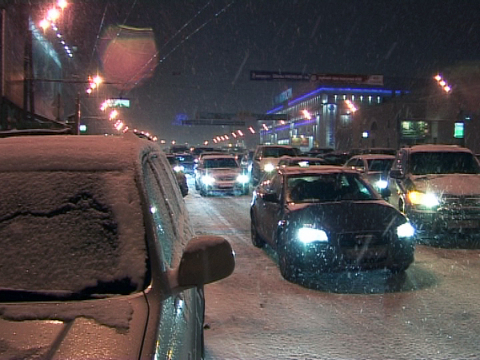 A heavy snowfall paralyzed traffic on Moscow’s central highways. An F grade on the Yandex website congestion-meter didn’t get drivers down. Traffic jams are nothing new for the capital, but snow is pretty rare these days, drivers say.